Mennica Legacy Tower will be completed in autumn 2019. Mennica Legacy Tower, a high-rise complex in Warsaw’s Wola district, is a new addition to the city’s rising skyline. Golub GetHouse and Mennica Polska S.A., together with Warbud, the general contractor, have recently topped out the project, located at the intersection of Prosta and Żelazna streets. In less than two and half years since the start of construction, all storeys of the 140-metre tall office building have been constructed and the entire complex is planned to be completed in autumn 2019. 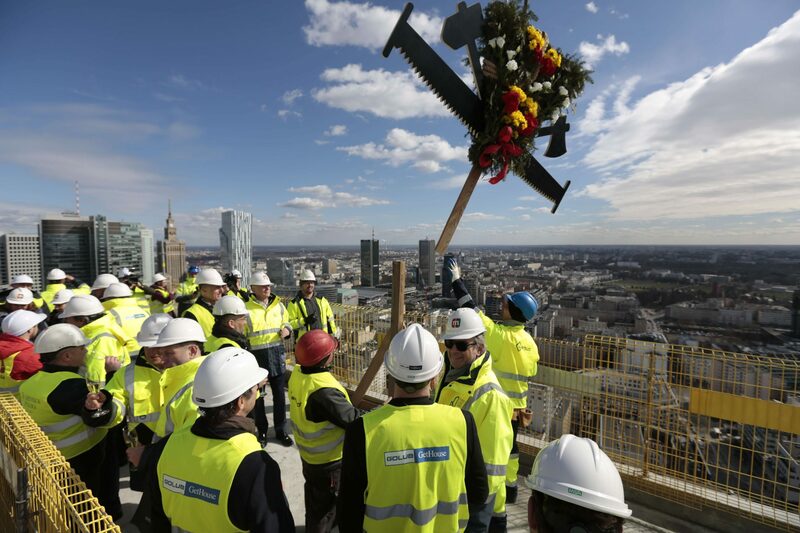 Founder and CEO of Golub GetHouse, Cezary Jarząbek, said “Mennica Legacy Tower is a development that redefines the highest standards on the Polish and European real estate market. The construction of this modern and technologically advanced facility is a great honour for us, but also a formidable challenge.” He added that the office space has been fully leased many months before it’s even delivered. 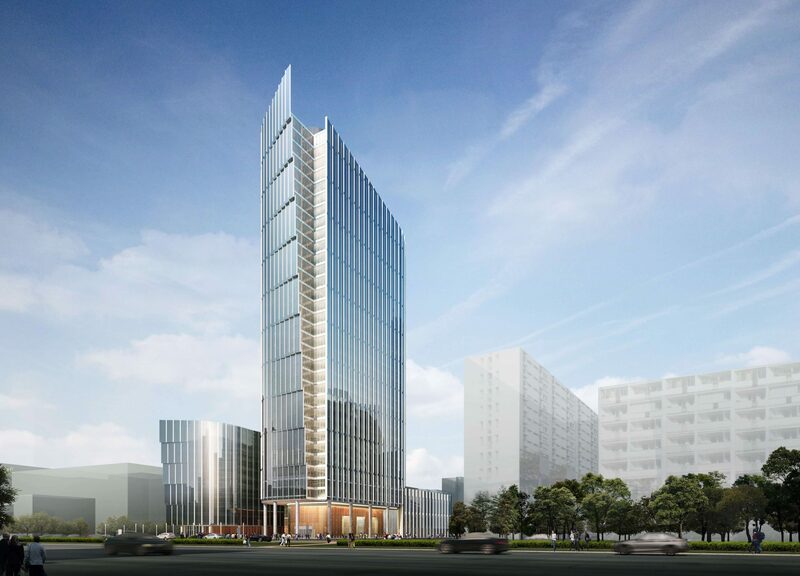 The 140-metre-high Mennica Legacy Tower with the neighbouring 43-metre-high Western Building will offer a total of 65,630 sqm of office space. The tenants of the Mennica Legacy Tower office space include mBank (main tenant), law firms Noerr Biedecki sp.k. and Allen & Overy, as well as the world leader in coworking spaces, WeWork, the sole tenant of the Western Building. The offer of the complex will be enhanced by retail and service spaces, which will be developed, among others, by the Meet & Eat restaurant concept and Zdrofit fitness club. The project was designed by the renowned Chicago-based architecture firm Goettsch Partners, which decided to work with the well-established design consultants Epstein. When asked about his favourite aspect of the project, Jarząbek said he’s most excited about the lobby. “It’s difficult to choose just one because I’m very happy about this building. I was truly involved from the beginning with the whole aspect of the design and execution because this is my passion and I love to do it but I would say the lobby. The lobby will be something spectacular,” he said. The three-level lobby will reach a height of 12 metres and will be surrounded by glass to give a sense of outside meets inside. Materials have been carefully selected from Italy and will include granite floor and marble walls. A key element of the space will be a stone waterfall behind the reception desk. Both buildings will feature advanced technological systems increasing the reliability of the buildings’ systems as well as improving the security of tenants. Mennica Legacy Tower will also feature the latest mobile technologies enabling tenants to communicate with the building using a smartphone and mobile app. “When we started designing this building six years ago,” said Jarząbek, “we wanted to make it unique and special. A simple idea was to get rid of access cards. Every employee in corporations forgets it, loses it, it’s a nightmare. But everyone uses a smartphone so why not replace access cards with smart phones. We decided we needed to do this and we were driven by the desire and passion to do something different. At the beginning it was very hard because everyone was saying the technology doesn’t exist and nobody knows how to do it but I said if you can order a taxi with a smart phone, you have to be able to get an elevator with a smart phone.” He went on to say that all of the building’s systems had to be integrated from lighting to security for this to work but with their stubbornness, they were able to make it happen. Office tenants will be able to use a mobile application on their smart phones to enter the building, order lunch, allow guests to come up without going to the reception desk, pay for parking, control lighting and other functions – all from one device which requires a pin or fingerprint verification for added security. Residents as well as office employees will be able to enjoy the outdoor space which will be open to the public. “This is Wola. 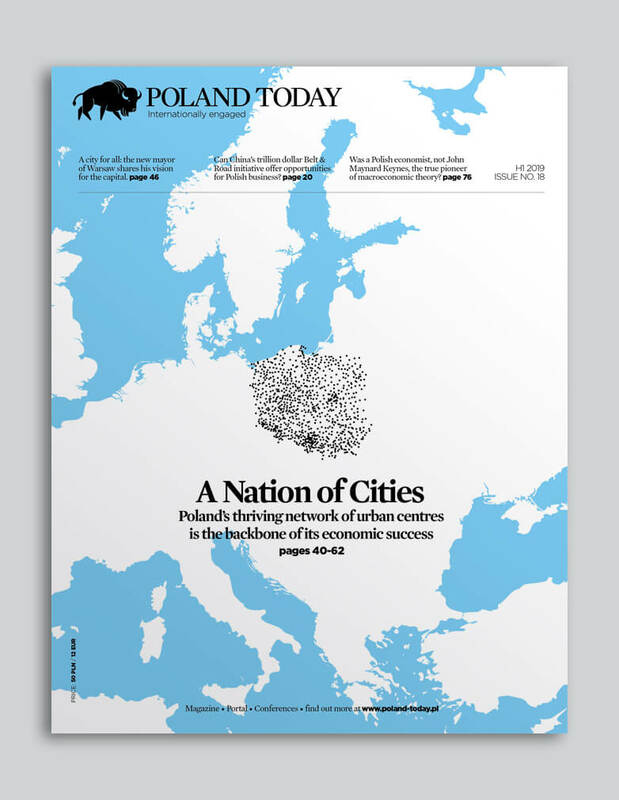 This is a part of the city that’s developing very fast,” said Jarząbek. “We wanted to make sure that it’s a very friendly place for people who will work here but also live here. We’re building a beautiful 4.5 thousand sqm plaza in front of the building which will have fountains, sitting places and a sculpture. We really wanted to contribute to the Wola district by designing such a space,” he said.